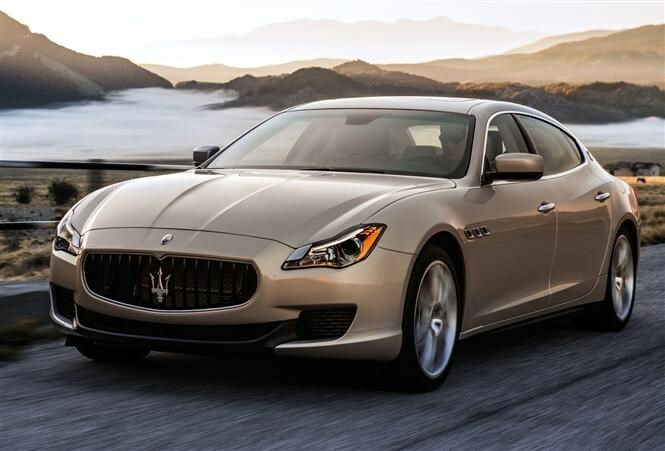 The all-new Maserati Quattroporte is the Italian firm’s latest version of its flagship car: a high-powered four-seat family car geared towards well-heeled buyers of exotic machinery. Up against the likes of the BMW 6 Series Gran Coupe, the Jaguar XJ and the Mercedes-Benz CLS, the new Quattroporte has a choice of two powerful petrol engines. There’s a 3.0-litre twin-turbocharged V6 with 408bhp and a 3.8-litre twin-turbocharged V8 with a substantial 527bhp. All of this horsepower is fed to the rear wheels through an eight-speed automatic gearbox. As per tradition, we’d expect this car to handle incredibly well. The Italian firm has a rich history of sporty cars which are very rewarding through corners and there’s no reason to suspect otherwise here. The fastest four-door Maserati ever built, the new Quattroporte with the V8 engine will hit 62mph in 4.7 seconds and scream on to a top speed of 191mph. Although not quite as quick to 62mph or at the top end – at 4.9 seconds and 177mph respectively – the V6 engine allows for far better fuel economy than its predecessor. Maserati claims a vast improvement over the outgoing model, with fuel economy a claimed 26.9mpg on the combined cycle. That might sound low but it’s pretty impressive considering the performance on offer and the size of the car. The Maserati’s CO2 emissions are 244g/km which means expensive road tax, but that isn’t likely to bother buyers of cars like this. Of course, being a Maserati, the Quattroporte has a beautifully made and upmarket interior. Many of the cabin controls are operated via the centrally mounted 8.4-inch touchscreen, doing away with the majority of buttons found in many modern cars. This allows for an uncluttered interior. There are lashings of hand-stitched leather covering much of the inside of the car, while a 15-speaker audio system is linked to a multimedia set-up with WIFI capability to hook up to most mobile devices. So should you go for Italian style or would you be safer plumping for competition from Germany or the UK? Watch out for the full Parkers Maserati Quattroporte review to find out.